In 1988, the Village Board adopted an Ordinance providing for a Real Estate Transfer Tax (RETT). When a real estate property is sold in Wilmette, a tax equal to $3.00 for every $1,000 (or fraction thereof) of consideration must be paid. This is the responsibility of the property buyer. Before the buyer is allowed to purchase their transfer tax stamps, the final water & sewer bill for the property must be paid in full (this is the seller’s responsibility). Any other outstanding amounts owed to the Village (miscellaneous accounts receivable, unpaid parking tickets, etc.) must also be paid in full. Property owners should contact the Finance Department at 847-251-2700 to schedule the final meter reading. Final meter reads are conducted on an as needed basis and should be scheduled two weeks prior to the required read date. Transfer tax stamps should be in hand at the time of your closing. The Real Estate Transfer Tax Declaration form can be downloaded here. 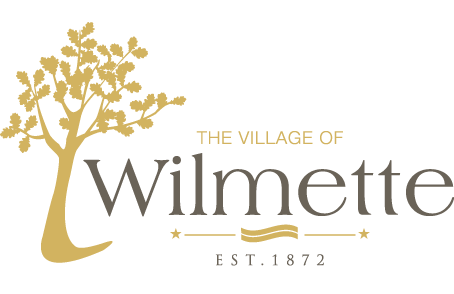 This fillable form may be downloaded, completed, printed out and presented to the Village’s Finance Department at 1200 Wilmette Ave, Monday through Friday 7:30 a.m. to 4:30 p.m. in order to purchase transfer stamps. Two copies are then brought to the closing and one copy (with the stamps affixed) is filed with the Cook County Recorder of Deeds. If the property buyer intends to file an exempt transfer under Chapter 9-15.6 of the ordinance, a copy of the supporting documentation being filed with the Cook County Recorder of Deeds is required in order to receive exempt stamps. Please call the Finance Department at 847-251-2700 with any questions about this process. For more information on Exempt Transactions & Federal Guidelines please click here.